In the Old West, a horse was a horse, right? As long as it had four hooves and a modicum of “horse sense,” nobody really cared about its pedigree, did they? Yes and no. 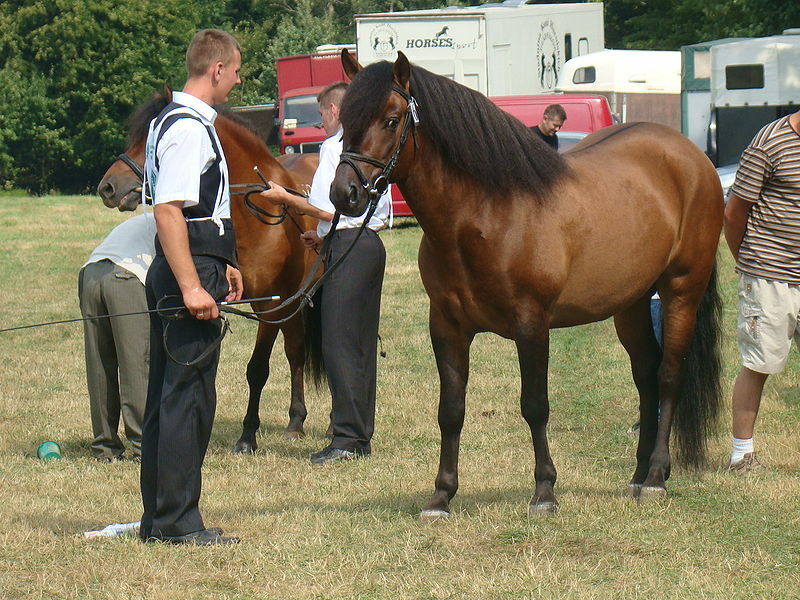 Just as in the modern world, folks used different horse breeds for different purposes—and a broader spectrum of horse breeds and purposes existed than most people realize. 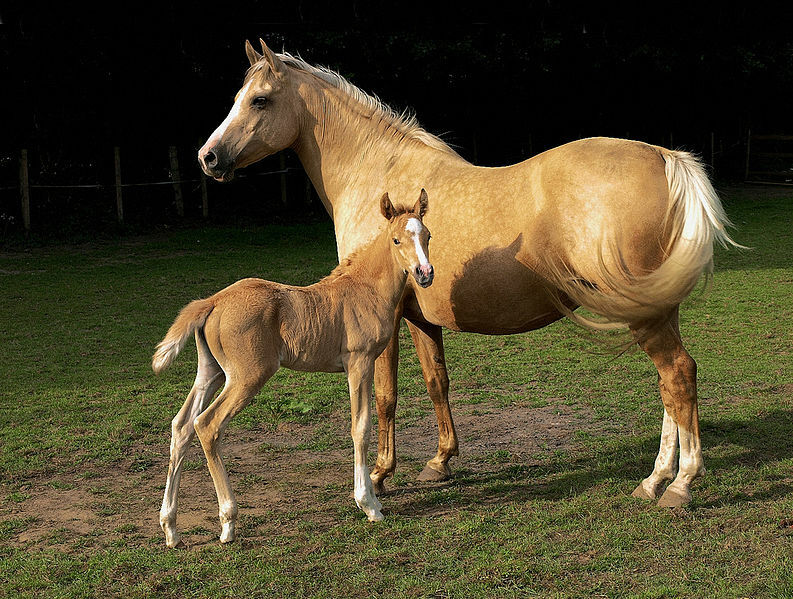 Without considering draft horses, ponies, and mules (which are fodder for other posts), here are some of the more common horse breeds found west of the Mississippi River. This is not an exhaustive list by any stretch of the imagination—just an accounting of the breeds most folks would have recognized. A truly American breed, the Quarter Horse was essential to life on the frontier for very good reasons: They could do almost everything. Heavily muscled, hardy, and acutely intelligent, Quarter Horses were the horses that won the West. 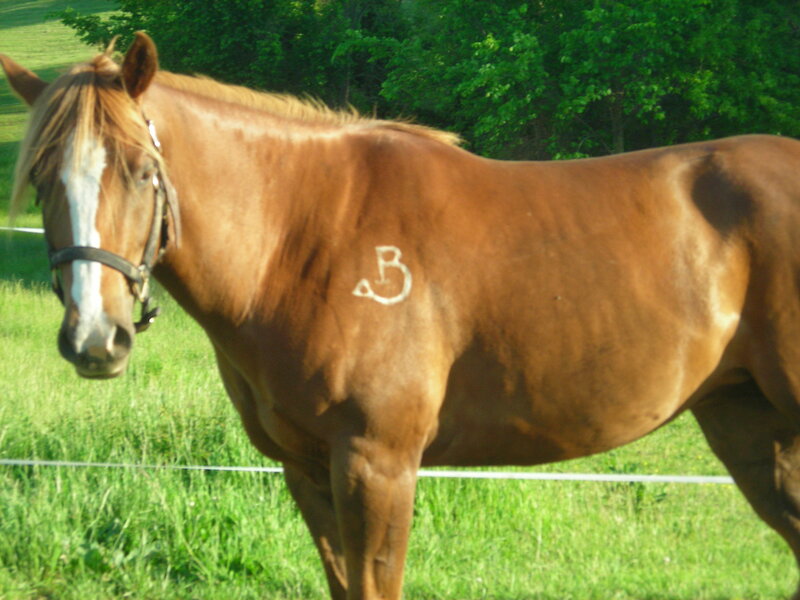 Steel Dust, the first recognized Quarter Horse, was foaled in Kentucky from stock developed in the Colonies by crossing English stock with animals left behind by the Spanish conquistadors. 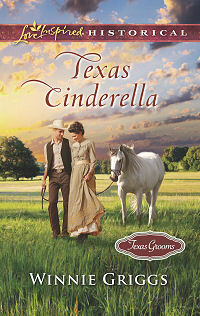 After his arrival in Texas in 1844, the breed came into its own. Originally called “Steeldusts,” the horses quickly became a favorite of Texas ranchers, who admired their “cow sense,” calm disposition, and the short-coupled bodies that made them maneuverable in a variety of terrain. 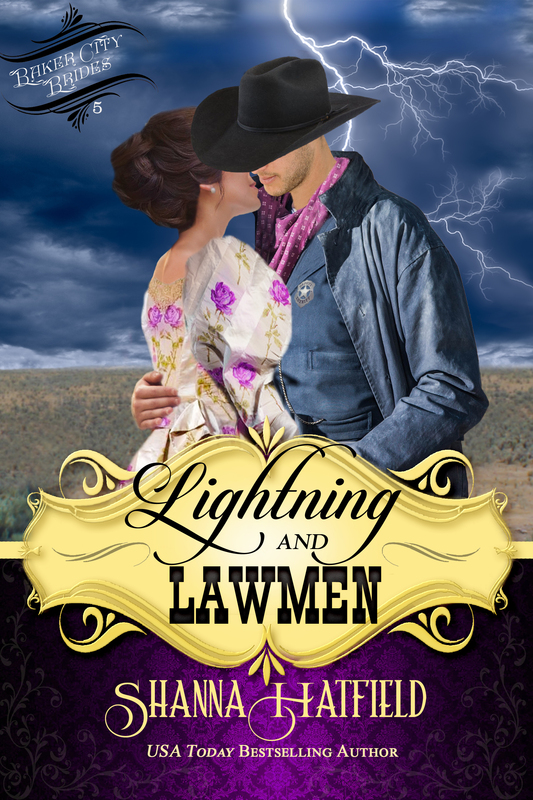 Found in every remuda and pasture from the southern tip of Texas to Canada and from the East Coast to California, the horses worked cattle, broke sod, pulled wagons and buggies…and raced. Racing was as common in the old west as cattle drives and quilting bees. 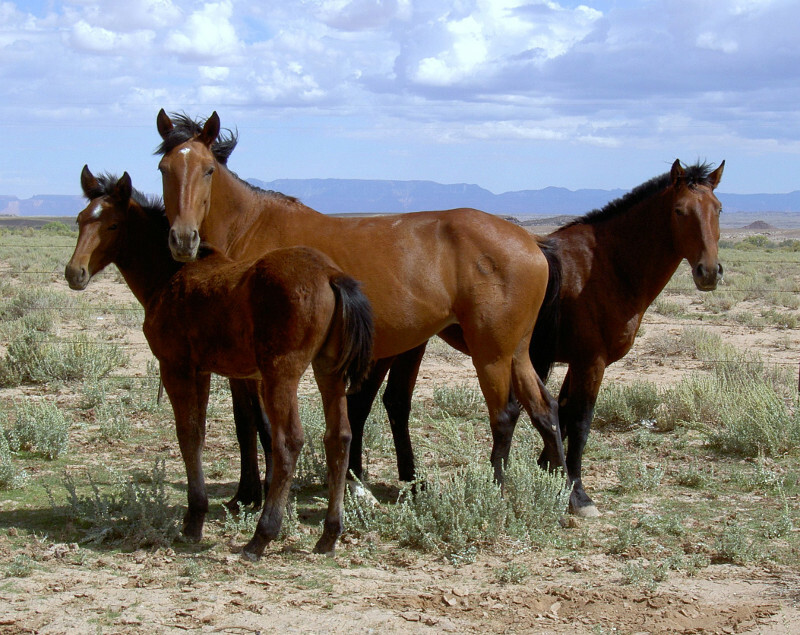 Quarter Horses came by their enduring breed name because on a straight, level quarter-mile track, they can outrun any other horse on the planet—including Thoroughbreds. 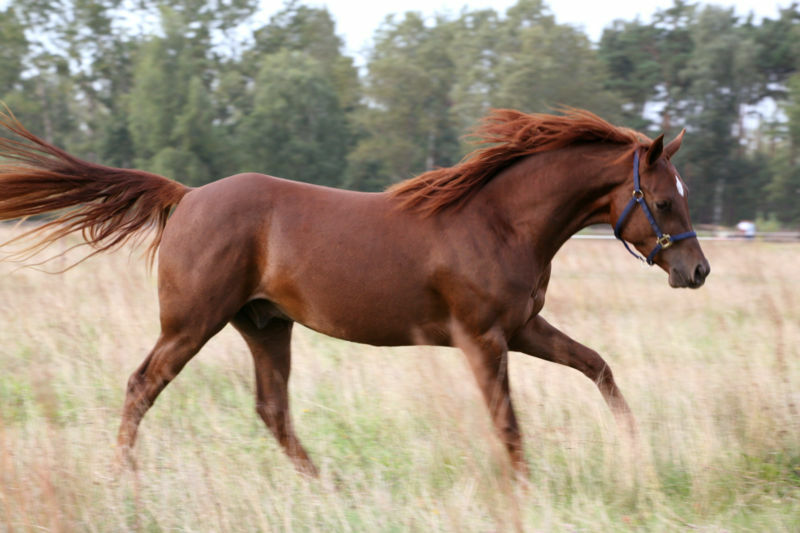 A cross between the now-extinct Narragansett Pacer and Thoroughbreds, American Saddlebreds were common by the time of the American Revolution, when they were called simply American horses. 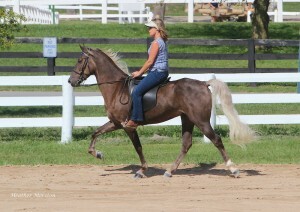 Tall and graceful like Thoroughbreds, they also exhibited the Pacer’s easy-to-ride gait. Known as Kentucky Saddlers by the early 1800s, owners and breeders prized the animals for their beauty, pleasant temperament, eagerness, strength, and stamina. Although used in the West primarily to pull carriages and provide snazzy mounts for the wealthy, they also did their share of hard work on ranches and farms. 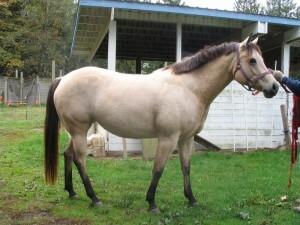 The Appaloosa arose among the Nez-Perce Indians of the Pacific Northwest. 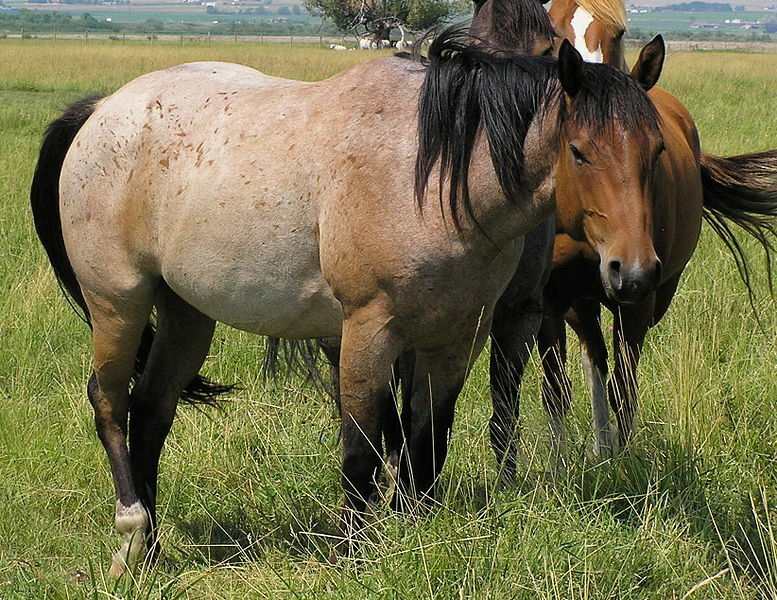 The Nez-Perce were skilled horse breeders, and by selecting the best animals from among the wild herds, they produced equines especially suited to war and hunting. The horses were practical, hardy, and versatile with the additional advantages of tractability, good sense, and almost endless stamina. 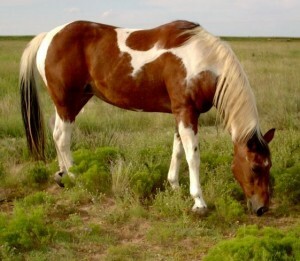 Unfortunately, the color pattern that made the horses distinctive also led to the downfall of their creators. To escape continuously broken treaties and the U.S. government’s Indian extermination policies, the Nez-Perce headed for Canada under relentless pursuit, only to surrender several miles from the border when starvation and ceaseless battle prevented their continued flight. The government confiscated their horses—a symbol of the people—and sold them to local settlers, hunting and killing the animals that got away. Today, the annual Chief Joseph ride, open only to Appaloosas, travels the last 100 miles of the Nez-Perce trail marking the battles of Chief Joseph’s band with the U.S. Cavalry nearly 140 years ago. Prior to the first Arabian’s arrival in the U.S. as a gift to President George Washington, the world’s oldest true breed enjoyed a long and storied history as prized mounts of royalty and European war horses. In 1877, the Sultan of Turkey presented a pair of stallions to General Ulysses S. Grant, who bred them to Arabian mares imported from England. Celebrated for their beauty, intelligence, loyalty, and stamina, a few were used as cavalry mounts in the Civil War but the majority saw lives of leisure among the wealthy in the Old West. 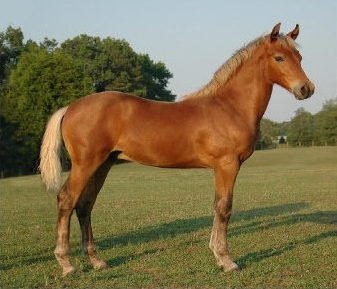 Developed around 1821 in the Ozark Mountains of Arkansas and Missouri, the Fox Trotting Horse comprised a mixture of Morgan, Thoroughbred, and Arabian bloodlines. 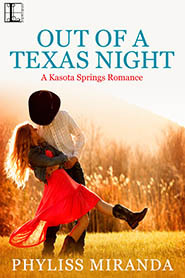 The horses excelled at plowing, hauling logs, and working cattle in the rugged, rocky terrain. 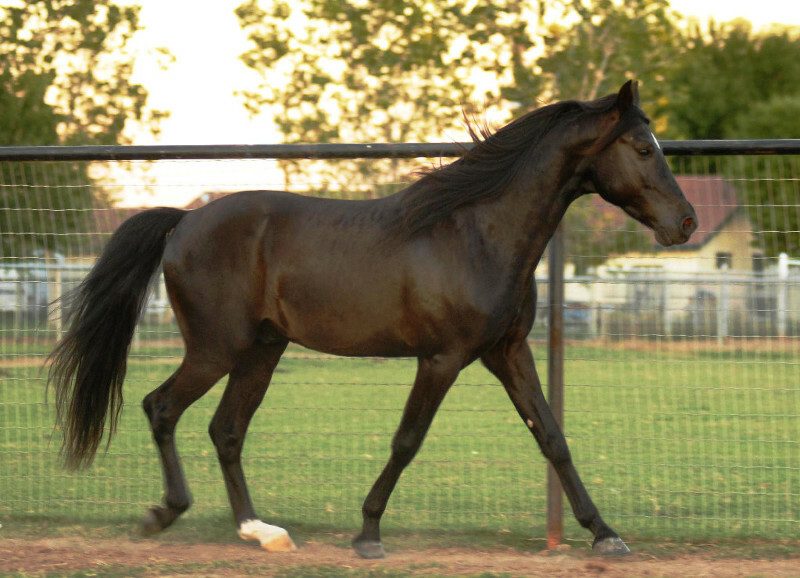 After adding Tennessee Walker and Standardbred blood, the horses became known as Missouri Fox Trotters and went West as stylish buggy and riding horses. Because of the breed’s ability to travel long distances at a speed of five to eight miles an hour, Missouri Fox Trotters quickly became a favorite of sheriffs and marshals, country doctors, and others who needed a quick, comfortable ride. 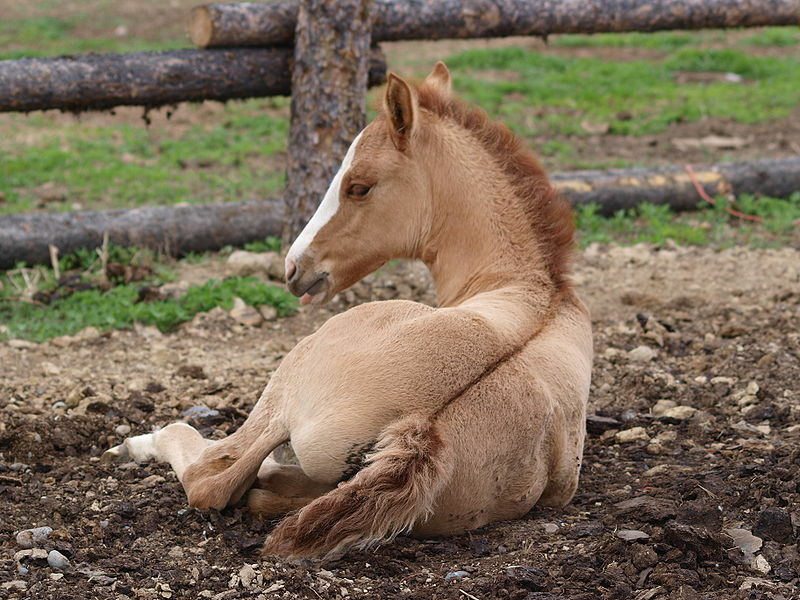 Known for their surefootedness, sweet nature, and comfortable seat, today Missouri Fox Trotters are the horse of choice for the National Park Service. America’s first recognized horse breed descended from a two-year-old stallion of unknown ancestry acquired by a teacher in 1791 as settlement of a debt. The horse famously passed along his extraordinary traits, including sweet disposition, cobby and well-muscled body, and hardiness. Morgans were official cavalry mounts on both sides during the American Civil War. Confederate General Stonewall Jackson and Union General Philip Sheridan both rode Morgans they personally owned. Both before and after the war, Morgans served as draft horses, stock horses, and speedy, durable mounts, playing roles on farms and ranches, among the miners during the California Gold Rush, as favored mounts of the Pony Express, and racing horses. 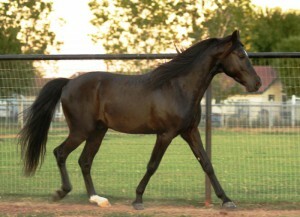 Morgan blood heavily influenced the development of Quarter Horses in Texas. Although the breed almost died out in the 1870s, a few diligent breeders revived the bloodlines that continue today. America’s feral horses are living history and an enduring reminder of the country’s Wild West past. Descended from escaped and abandoned horses brought to the New World by the Spanish in the 1500s, Mustangs claim Barb, Sorraia, and Andalusian blood, along with traits inherited from all other American breeds. 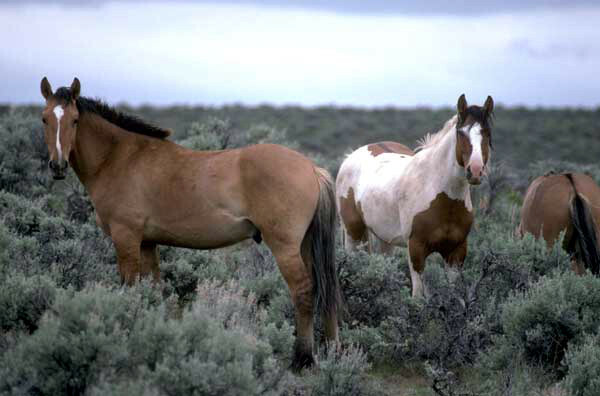 “Hot” horses (meaning they love to run), their intelligence and intuition made them notoriously difficult to catch, contain, and tame, but once domesticated, Mustangs became strong, loyal, reliable, and sturdy mounts and draft animals, performing all sorts of tasks in the American West. Paints, also called pintos during the period, were favored by the Comanche Indians not only for their speed and endurance, but also because their “loud” color patterns gave the horses and their riders “magic” in battle. Reportedly brought to the New World by Hernando Cortés, the first “horses with white splotches” appeared on the American continent in 1519. 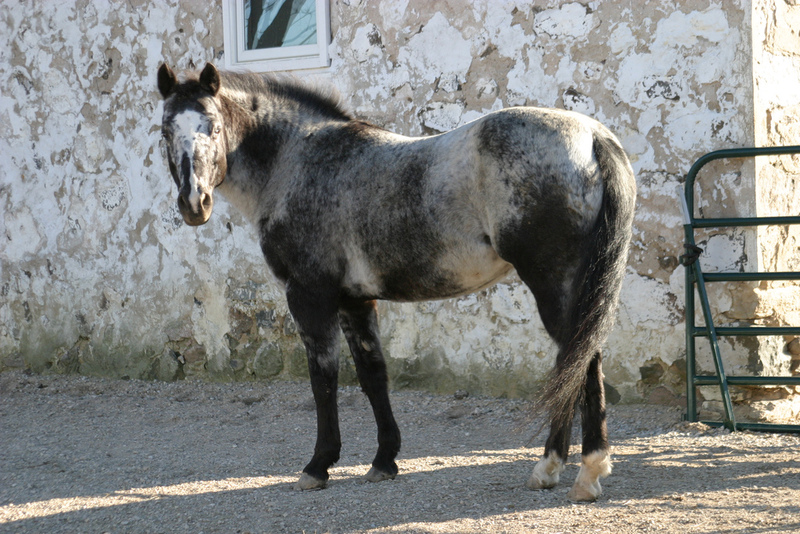 Some escaped, others were left behind when the explorers returned to Spain, but eventually the animals interbred with other wild horses and produced entire herds with paint markings. 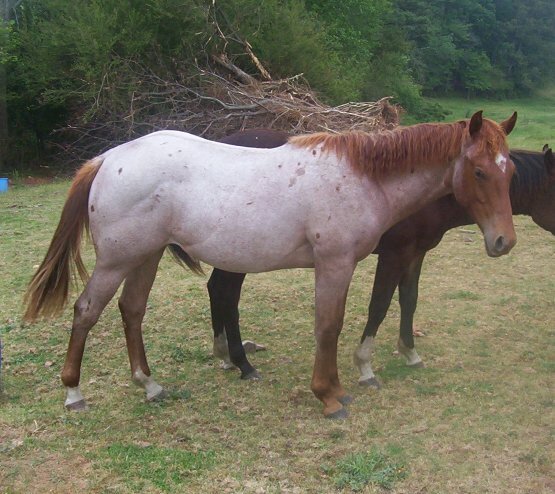 Similar to American Quarter Horses in body type, appearance, and versatility, modern Paints also are considered quintessential stock and rodeo horses. Somewhat of a latecomer, the Rocky Mountain horse originated in the foothills of the Appalachian Mountains of Kentucky. 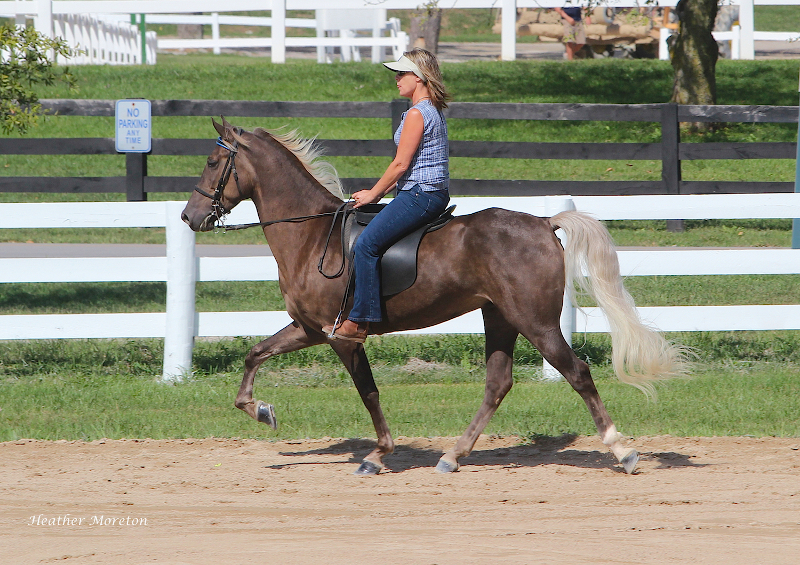 Largely a secret outside that area until about 1880, the horses were surefooted, easy-gaited, and versatile. 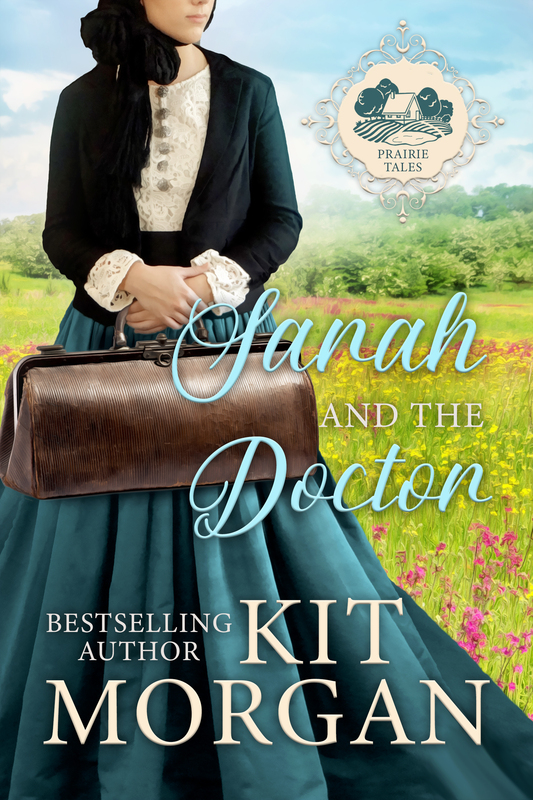 In the Old West, postmen, doctors, and traveling preachers favored the horses. Because the breed also is strong and tough, Rocky Mountain Horses were used to plow fields, herd cattle, and pull buggies and wagons. 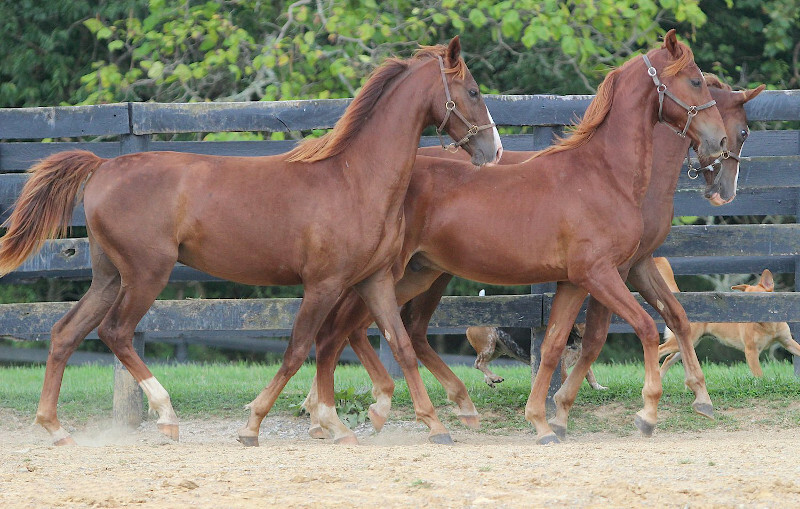 Known today primarily for its “running walk” gait and flashy, high-stepping movement, the original Tennessee Walking Horses were developed in the American South for use on plantations in all sorts of capacities. 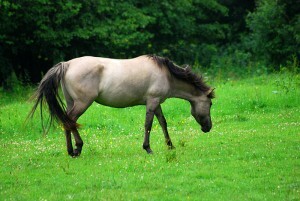 The breed’s ancestors include Narrgansett Pacers, Canadian Pacers, and Spanish Mustangs from Texas. 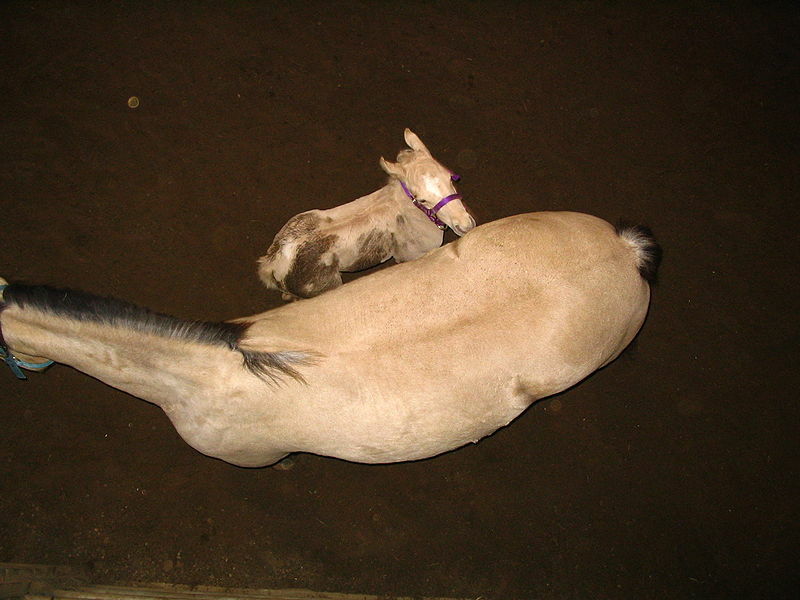 Today’s breed arose in the late 1800s after interbreeding with Morgan stock. Primarily a pleasure-riding horse for well-to-do city dwellers, a few Tennessee Walkers were employed by Old West doctors and others who required a mount that wouldn’t jar all their bones loose during lengthy trips. 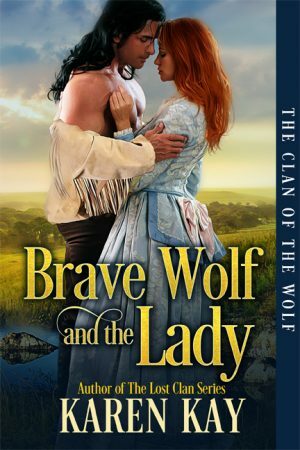 One last breed deserves mention, not because people would have encountered it in the Old West, but because it contributed a great deal to other breeds. 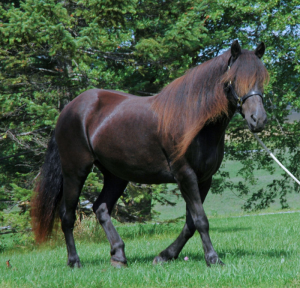 Descended from draft and riding horses imported to Canada in the late 1600s, the Canadian Horse became popular in the American Northeast during the late 1700s. Due to massive exportation to the U.S. and Caribbean, along with extensive and often fatal service during the American Civil War, the breed nearly became extinct in the mid-19th Century. 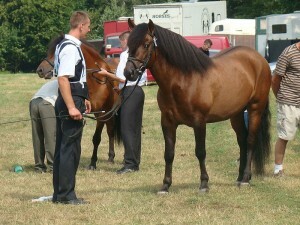 In the mid-20th Century, a group of dedicated breeders began a repopulation program, but the horse remains a rare breed. 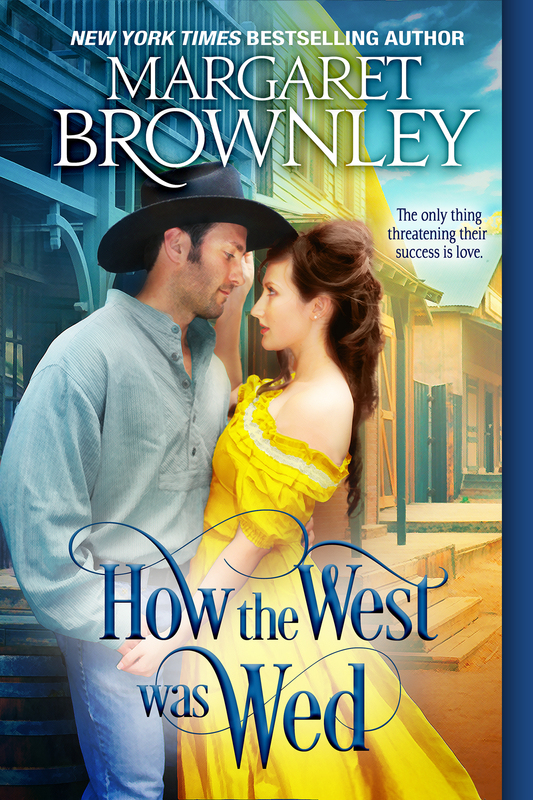 I can’t speak for other western romance authors, but when I put a horse in a story, it can’t be just any old horse. 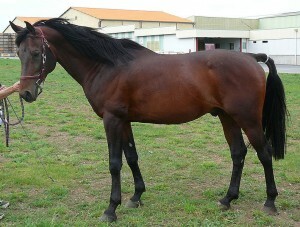 The horse must fit the story and the human character with whom it pals around. All sorts of traits (including breed, size, and temperament) play into the decision, but one of the most obvious is coat color. 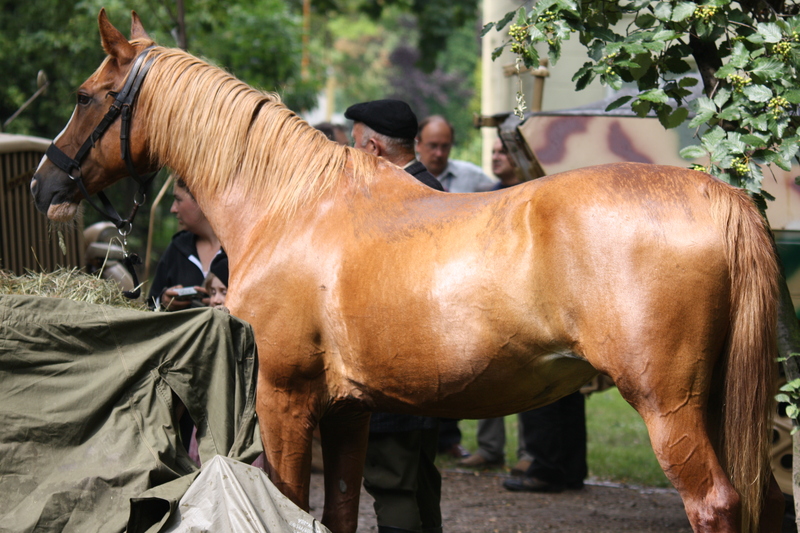 The color of a fictional horse says quite a bit about its rider. If a human character doesn’t want to stand out in a crowd, he or she most likely will ride a chestnut or sorrel, the two most common colors. 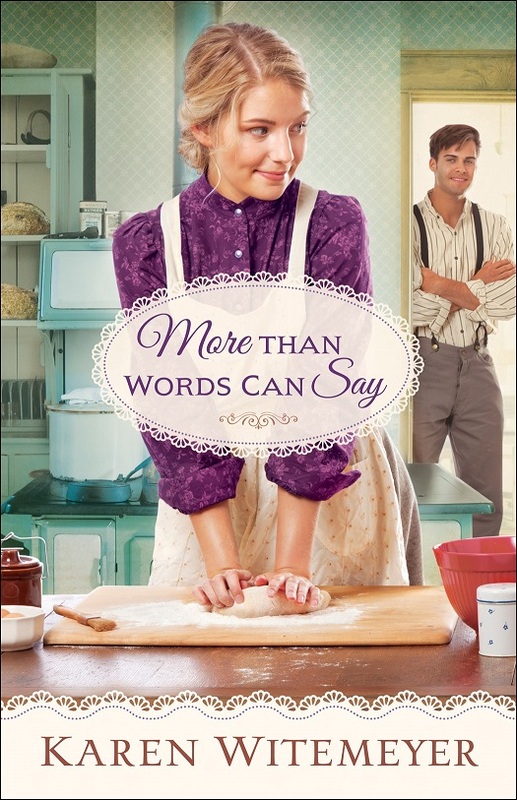 Bays are another good choice for “don’t look at me” characters. Conversely, “flashy” horses—those with lots of white, like Appaloosas, palominos, and paints—send the subconscious message the character wants to be seen. 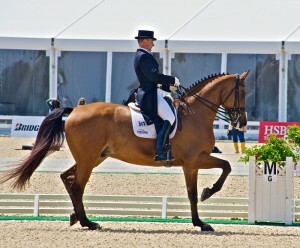 Duns and buckskins lend an aura of toughness to their riders, male or female. Don’t ask me why, but I’m sure there’s some complicated psychological explanation somewhere. And then there are the uncommon colors that make human characters seem rebellious: grullas and roans. 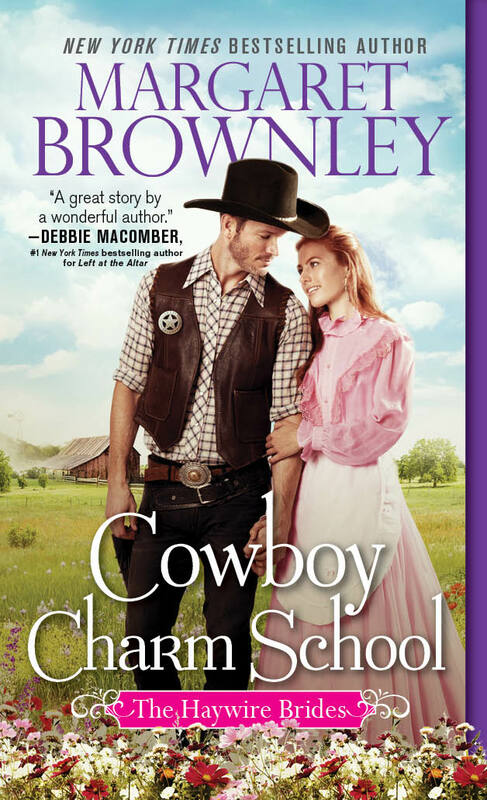 Because it sometimes can be difficult to visualize horse colors—and because everyone who reads western romance likes to look at pictures of pretty horses, right?—I thought I’d provide some helpful visuals. 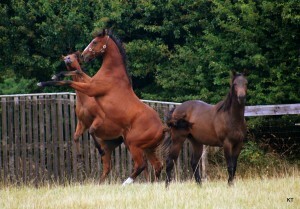 Chestnuts are red horses. Period. The shade can vary along a continuum from light to dark. 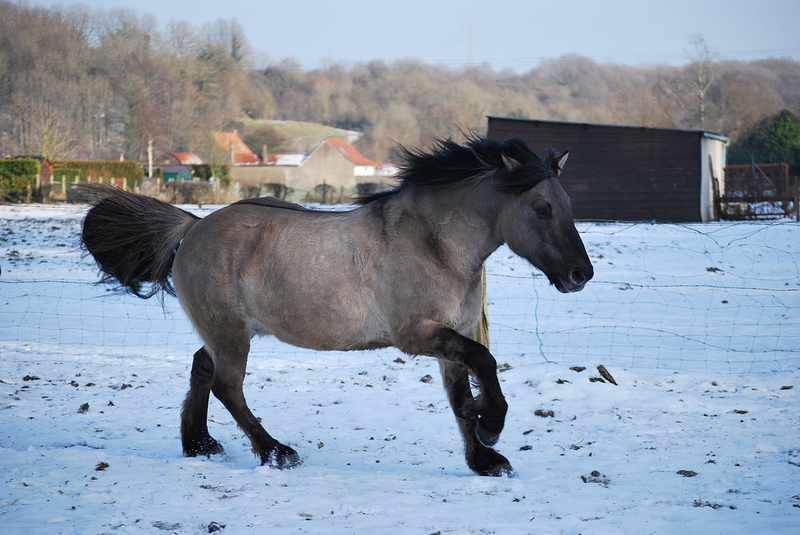 Although manes and tails may be a lighter shade, they usually are the same color as the horse’s body. Liver chestnuts are so dark they seem almost brown. White blazes and stockings are optional. 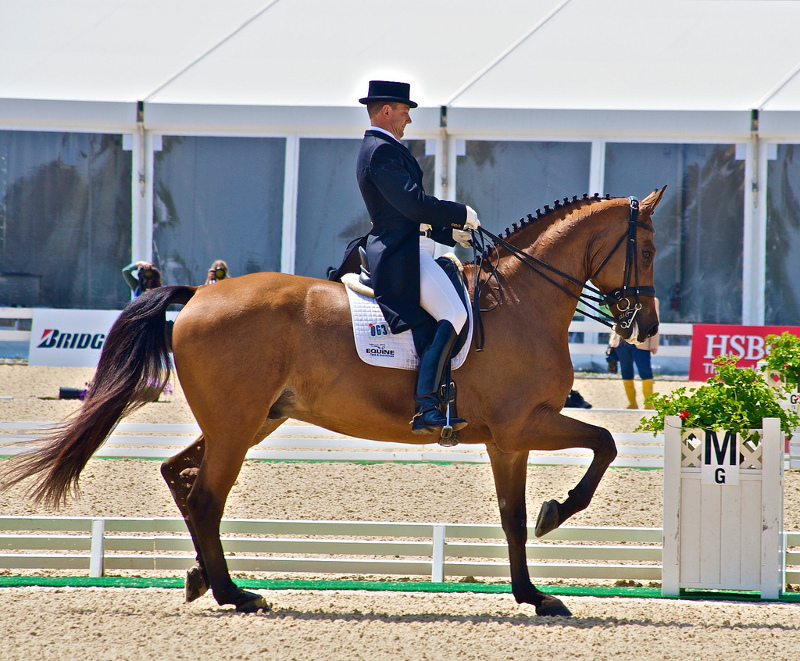 In Prodigal Gun, hero Mason Caine rides only “plain” chestnuts—ones with small or no white markings—because he wants to fade into the scenery. Sorrels are red, too, but the line between sorrel and chestnut can be vague. Sorrel is a light, bright red—sometimes described as “copper penny red.” Some folks call sorrels a subset of chestnut; others say sorrel is distinct from chestnut because true sorrels have flaxen manes and tails. I’m staying out of that argument. 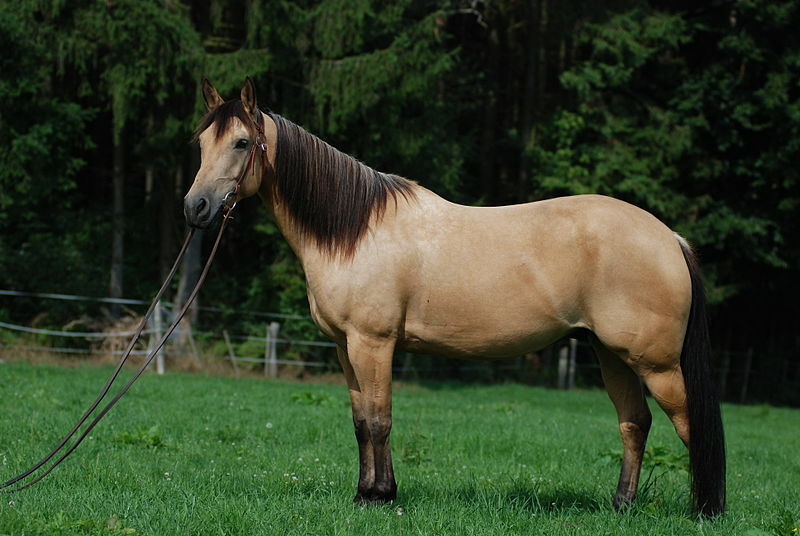 Brit Moonchaser, the main characters in my forthcoming novel Ghosts in the Shadows, rides a sorrel gelding with a flaxen mane and tail—mostly because I like the color. Bay horses range from a light reddish-brown to a dark, almost black, red. 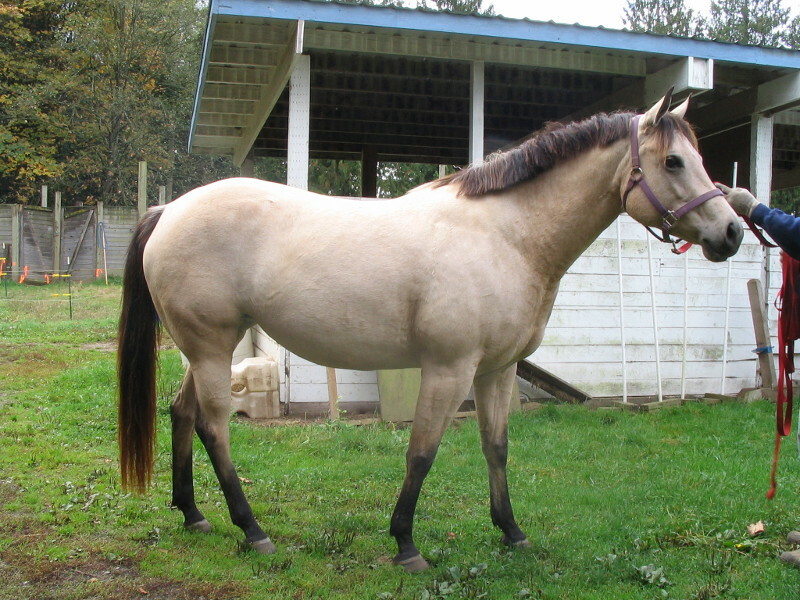 All bay horses have black manes, tails, and lower legs (called “points”). The darkest are called mahogany bay. One of the most striking bays, I think, is blood bay—a deep, bright red. “Flashy” blood bays are particularly attractive. A dangerous, flashy blood bay stallion plays a significant role in Ghosts in the Shadows. manes, legs, and tails. The tips of their ears also sport dark hair. 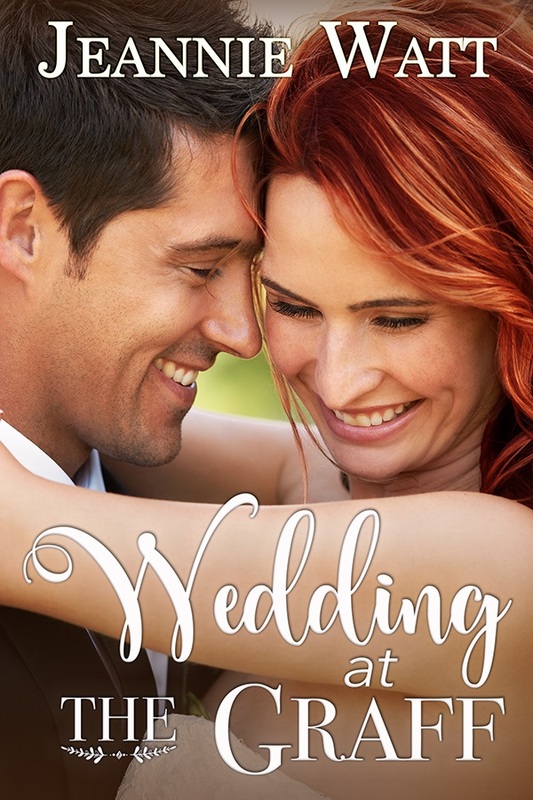 White stockings and blazes are not uncommon. 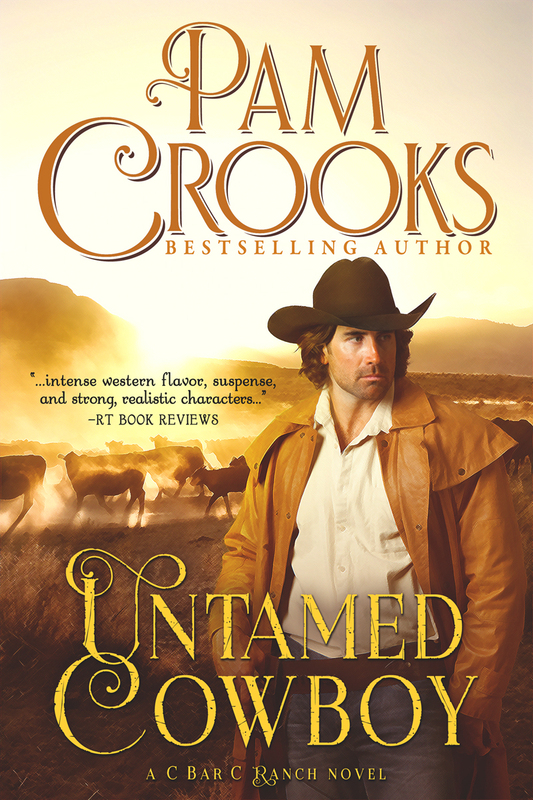 Cole McCord, the Texas Ranger in Prodigal Gun, rides a buckskin gelding. Cole is a by-the-book, no-nonsense lawman. 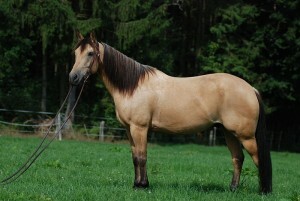 Duns often are confused with buckskins. Their coats run the same color spectrum, and both have dark points. The difference is this: Duns bear “primitive markings”; buckskins don’t. Primitive markings include a dark line down the center of the back from withers to tail, a dark splash across the shoulders, zebra stripes on the legs, and rings on the forehead (called “cobwebbing”). Many of the markings may be virtually invisible, but the line down the back is a dead giveaway and it’s always present. Often, duns’ tails will bear a dark stripe, as well. 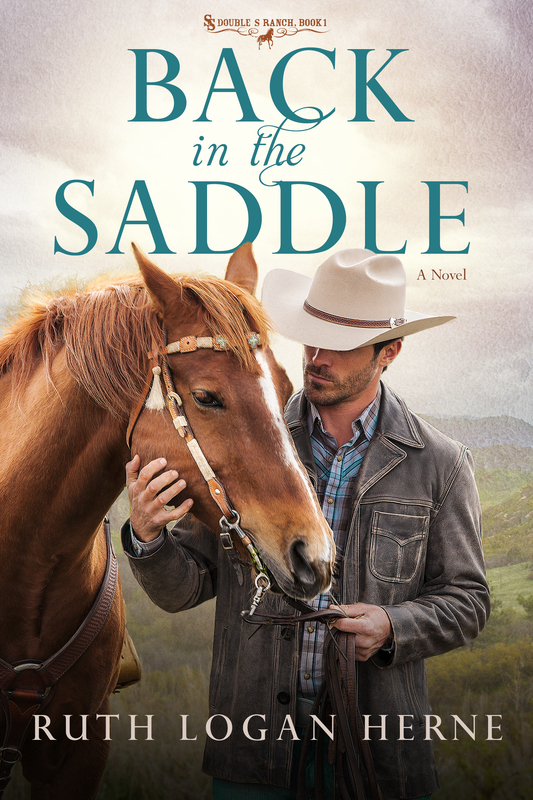 Whit McCandless, the rancher with an inflexibility problem in the short novella Peaches, rides a lineback dun. See the stripe down his back? 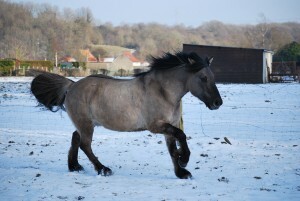 Grullas or grullos (grew-ya; grew-yo) are essentially blue duns, a color combination that occurs when the dun coat color gene crosses the black coat color gene. Grullas/grullos (either is correct), sometimes called “mouse duns,” also bear primitive markings. The color is striking, if uncommon. 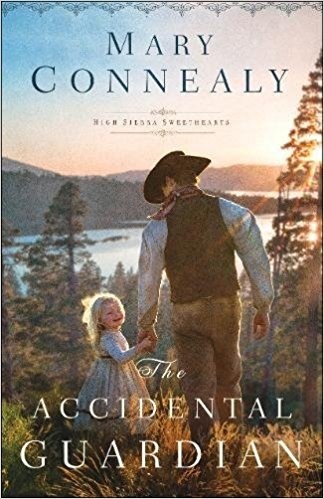 Quinn Barclay, the hero in the award-winning short novella The Second-Best Ranger in Texas, rides a grulla gelding with a drinking problem. 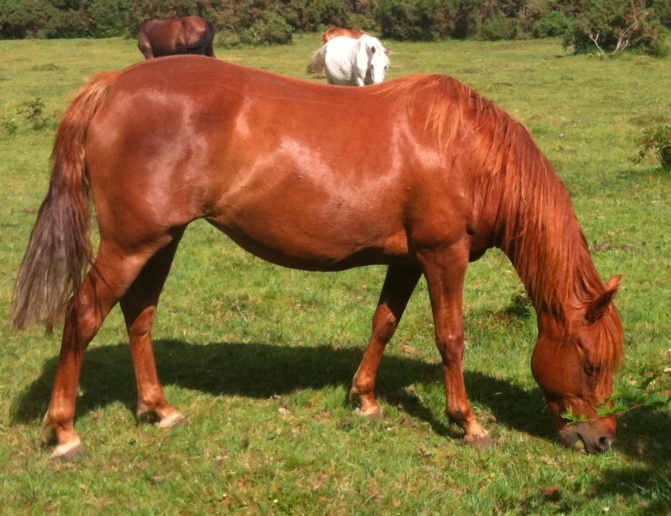 Roans come in red, bay, and blue. 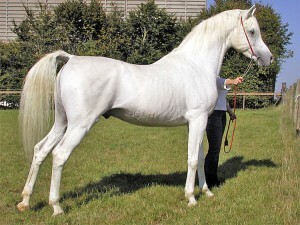 They look “mottled” because white hair mixes with the horse’s base color evenly across most of the body. Roans’ heads and lower legs are the solid base color. Blue roans have black heads, manes, and tails. Bay roans have black manes, tails, and legs. 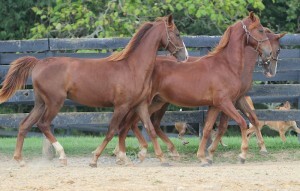 Red roans—sometimes called strawberry roans—have chestnut heads, manes, tails, and legs. 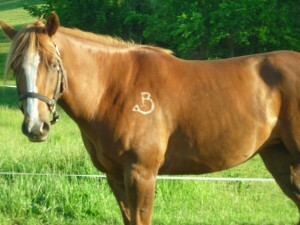 Latimer, a gunman who wants everyone to know who he is, rides a strawberry roan gelding in Prodigal Gun. 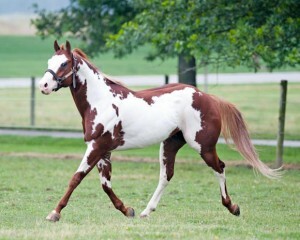 Paint and pinto horses are marked with large splotches of white and any other color. (In the Old West, the terms paint and pinto were interchangeable. Nowadays there are technical differences between the two having to do with bloodlines.) Paints come in three varieties—Tobiano, Overo, and Tovero—but unless an author is writing a contemporary story set among the horsey set, nobody cares. Jessie, the heroine in Prodigal Gun, is rebellious from the word go. 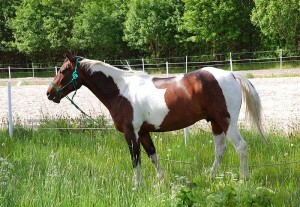 Her horse, Caliente, is a black-and-white paint mare. 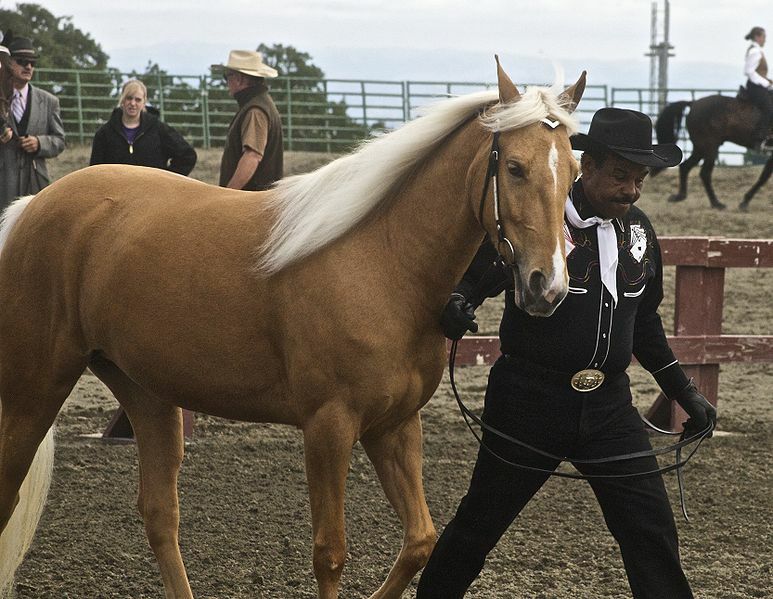 Palominos can range in color from almost white to deep chocolate, but the vast majority have coats “within three shades of a newly minted gold coin.” All have white or flaxen manes and tails. Everyone remembers Roy Rogers’s Trigger, right? Appaloosas are easy to spot. (Sorry. I couldn’t resist.) 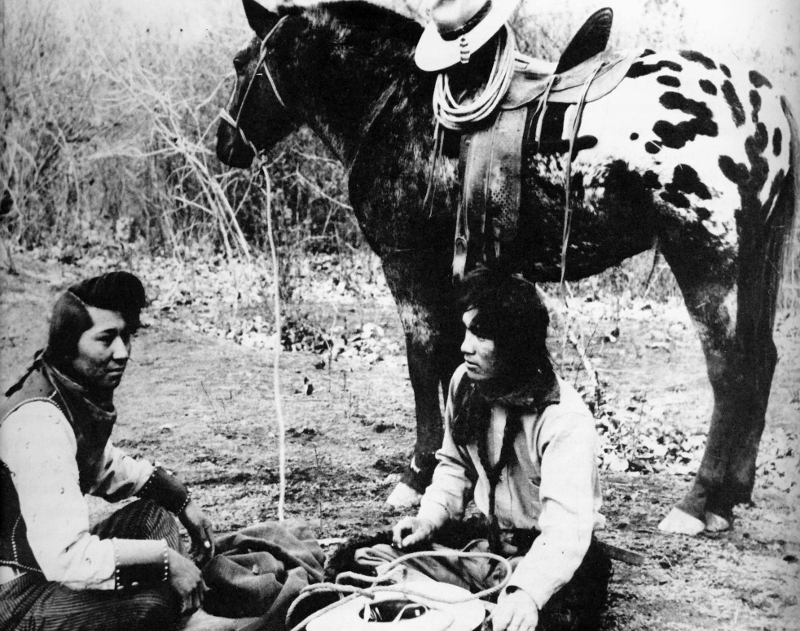 The breed is said to have originated among the Nez Perce Indians, who bred them for their spotted coats. Appies can be almost any base color and come in several patterns, but perhaps the best known are leopards (spots evenly distributed over a light-colored horse) and blankets (commonly a splash of white with spots across the rump of a darker base coat, although there are other blanket patterns). 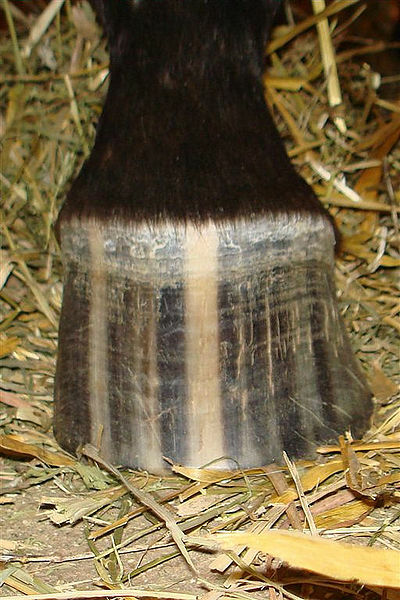 Many have striped hooves. Varnish roan is an exceptionally striking and uncommon version of the leopard pattern and is distinguished from other roans by the appearance of dark spots over prominent bones (hips, knees, facial bones, etc.). 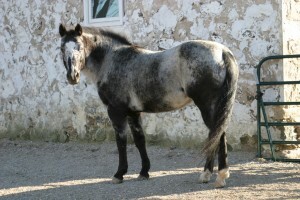 I haven’t found a character in need of an Appaloosa yet, but I’m sure I will.